Huntington Place has modern one and two bedroom apartments meant to provide you with a home that is tranquil and secluded. Choose from our one and two bedroom open floor plans to find the Sarasota apartment home that suits you. 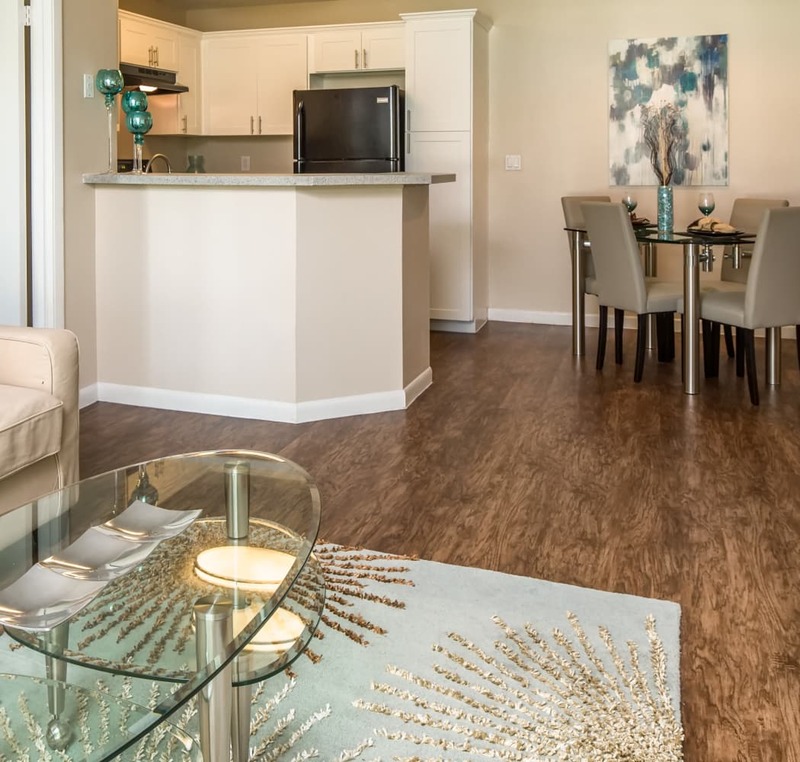 Our open floor plans allow you to set up your home however you like. And the updated features will be sure to complement your modern style. Each of our apartments is newly renovated to provide a serene and pleasant ambiance that’s harmonious with your lifestyle. Whether you’re seeking an apartment for one or a place to call home for the whole family, our friendly and professional leasing team can help you find what you’re looking for. Our spacious one bedroom floor plans range from 684 to 718 square feet. Two bedroom apartments at Huntington Place offer between 846 and 1,074 square feet. A patio extends your living space outdoors so you can enjoy a glass of rosé in the sunshine or serve your next breakfast alfresco. High ceilings and large windows offer views that span out to the beautiful landscape of our community lake. Find your perfect space at Huntington Place Apartments and make your home in our Sarasota apartment community.